Lobster fishermen will get a chance to show off their stacking skills in a contest in Summerside this July. 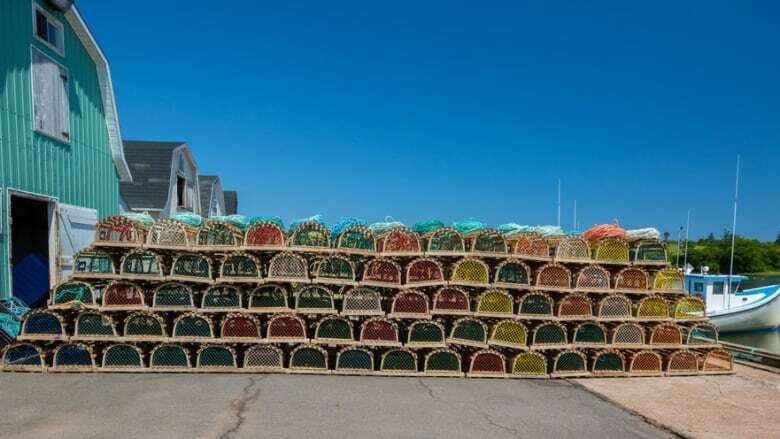 The Summerside Lobster Carnival is holding its second annual lobster trap stacking competition July 12 at 7 p.m.
"We wanted to make it a really competitive spectator sport," said Marlene Campbell. She's the cultural programming coordinator with Culture Summerside, the group organizing this year's festival. Competitors will have to carry 15 traps that weigh 41 kilograms (90 pounds) for a distance of nine metres (30 feet) and stack them five tiers high. Last year's competition was open to anyone, but this year only industry professionals will be eligible. "The general public kind of looked at the traps last year and said, 'Maybe we'll give that a pass!'" Campbell said, adding many in the industry take pride in their lifting and stacking. "Many of the young crew members love to carry out the heaviest traps and hold them right over their head, just to show the older fishermen how it's done," Campbell said. "I think we're going to see some really good competition," she said, noting entrants have already signed up. They must bring their own gloves and safety boots. The winner will be based on time and the neatness of their stacking. Top prize is a $1,000, with secondary prizes of $300 and $200. "The lobster industry is so important to Prince Edward Island and I think it's really important to show people just how intense this work is and what a challenge it is," Campbell said.